The weapons used by the LRDG were a mix of standard weapons used by the British Army as well as a few captured Axis weapons. While special forces units in the movies tend to use non-standard weapons, this is seldom the actual circumstance. 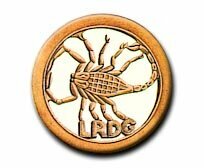 All LRDG kit was issued by Ordnance Branch. While some weapons were given to the LRDG for trials by Colonel Barlow (in charge of Staff Duties 5, later Weapons Technical Staff -- Field Force) of GHQ, MEF. for the most part, there was nothing happenstance about what they used. This section is divided into eight sections.